Based on reviews from 42,659 users. Learn how our rankings work or see our guide to Saucony sneakers. Updated Apr 2019. Only a few companies had surpassed the centennial benchmark and lived to tell the tale about it. One of those shoe manufacturers circulating the sneaker outlets of the globe is Saucony. Even though they had been tossed from one significant developer to another, the essence of a prestigious runner brand remained. Let us explore the ebb and flows of Saucony's journey and find out how they turned out to be a prolific collaboration bunch. How do Saucony lifestyle shoes look like? Technically, almost all of Saucony sneakers on the Originals line are constructed with a low top collar due to them paying homage to their running roots. The iconic running silhouettes that sparked the Saucony sneaker trend for the next few decades became the pinnacle silhouette of subsequent iterations and design collabs. But then, there are exceptions. Almost all of Saucony sneakers bearing the lifestyle image share the same cut because of their predestined inspiration hailing from the running roots. These Saucony sneakers emphasize freedom of movement and provide maximum versatility for numerous activities. Even the iconic Saucony sneakers from the Originals franchise exhibit low top forms starting from the Jazz to the SD Grid's. Coveted examples of these low top Saucony sneakers are Saucony Jazz Low Pro, Saucony Bullet, Saucony Freedom Runner, and many many more. It is seldom that a running-focused brand is involving themselves with high top silhouettes, especially Saucony. Sneakers for the trail and track would be more efficient if they are cut lower. But due to diverse public demand, apparel like Saucony sneakers should sway to the direction of the majority. The result was a basketball-inspired court shoe extending its collar upwards above the ankle which is The Hangtime. The lengthier collar provides stability and protection from swift court maneuvers. The Saucony Hangtime was initially released in 1987 under the sneaker brand's mother company called Spot Bilt (Hyde). The Hangtime was later re-released in 2010 as a vintage remake of the old Saucony sneaker basketball silhouette. How do Saucony shoes generally fit? It is a prestigious conquest to embrace oneself with the Saucony sneakers' history which remained unhindered when it comes to providing quality content straight from the hearts of the East Coast. Of course, when it comes to quality and efficiency, it is imperative to discuss each Saucony sneakers' fit and size. And yes, most of these recent models maintain the true to size fit of previous iterations. There are many more models that run adequately to any user's feet, but outlier versions would most certainly surface. Saucony sneakers having deviations from the usual sizing is inevitable though everybody should always consider that not all feet are the same. Obtaining the right dimensions of your feet is the pinnacle formula before launching one's self to find the perfect-sized Saucony sneaker. 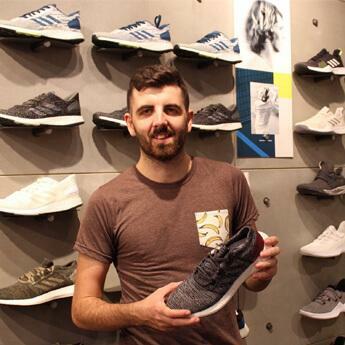 Reading user reviews online would also help give an idea if the preferred shoe would run narrow and small or in other cases, run wider than normal. Adding or subtracting half a size would most likely do the trick. Written below are some of the Saucony sneakers that tend to run abnormally compared to the shared norm. How much are Saucony lifestyle kicks in general? Overall, Saucony sneakers under their lifestyle category have an excellent price to value ratio. With Saucony sneakers costing around $40-$90, one can never go wrong in purchasing them given that most of them are durable and would last longer than other sneakers found in the market. Even the top-rated Saucony sneakers on this site exhibit exceptional price points which probably is the cause of their favorable rating in the first place. Although most of these running-inspired Saucony sneakers are relatively cheaper, collaborations with some of it make some of them more expensive than the usual. Saucony sneakers are ubiquitously known to be a collab brand stretching from the western part of the world to the side where the sun rises. Due to its well-known fame for inspiring fashion icons, Saucony sneaker collabs tend to be priced above the normal pay grade. Editions like the Saucony Shadow 5000 x Epitome "Righteous One" retailed at $150 and then would resell at $400 a pop. The availability of each new Saucony sneaker is inversely proportional to its cost. Another attribute that can affect the price of Saucony sneakers is the amount of technology infused in it. Silhouettes like the Jazz and DXN Trainer can be purchased at lower costs around $40 to $60 as compared to more extravagant models like Grid 8000 and 9000 due to the number of technologies present in it. Saucony sneakers were not much of a thing during the mid-20th century even though they are already an established brand during that time. What brought them to the sneaker limelight were coveted iterations that were first loved as running silhouettes that soon morphed into lifestyle apparel in the recent years. This model is the Saucony sneaker that started it all. With long distance runs in mind, Saucony had merged with the brightest minds of podiatry to create a revolutionary shoe packed with technologies of comfort. The world first witnessed the Saucony Jazz in 1981. Though it was released in the same year as the Saucony Freedom Trainer, the Jazz garnered more positive feedback concerning sales and popularity which extends to the present. The brand worked intimately with top podiatrists at the time including Dr. Frank Santopeitro to develop the ultimate Saucony sneaker for running. Complete with balancing features and high impact protection, the coveted Saucony sneaker is equipped with the Butterfly Balance design and the Maxitrac Triangular lug outsole. It was dubbed as the "best quality" running trainers during the 80s decade. The infamous Saucony sneaker that sparked the Originals franchise was initially intended for distance runs. The running community showed no signs of stopping during the mid-80s and Saucony's answer to that was the Bullet. Enhancing its grip and flexibility, the Saucony sneaker made its way from the track to the streets after decades from its introduction. Built initially with spikes to administer an injecting grip to the ground, the Saucony Bullet was made into a lifestyle sneaker by remodeling its outsole. The Bullet was released in 1985 as a track shoe bearing a slim structure which would be later adapted into casual footwear. The sneaker boasts a nylon and suede combination for its upper which complements its low profile look. Saucony owes the bulk of its marketing to the iconic New Zealand-runner named Rod Dixon during the early stretches of the 80s. Pulling hints from the Jazz with a dash of Dixon profiling, the DXN Trainer from Saucony was set to succeed its predecessor with flying colors. Merging with the ingenious minds of the Saucony Engineer department, Rod Dixon helped create a revolutionary running Saucony sneaker which was released in 1983. The DXN Trainer was based on the form of the Jazz that is tinkered to have a slight twist inclined for running. Compared to the Jazz, the DXN Trainer has a lower heel height but with increased cushioning. The Saucony sneaker is jampacked with Dixon-inclined ideas starting with the drill holes in the EVA midsole which is coined the Dixon Mattress. Another tech found within the depths of the sneaker is the trampoline-like feature on the area granted by the super soft but protective insert to boost the springing action during the toeing-off phase. Lastly, a collapsible heel tab relieves tension on the Achilles heel area whenever one runs on it. This feature was called the Dixon Window. Still bearing the magnificent features of the Jazz, the Saucony Shadow Original instilled the Saucony sneaker flair into the fashion world back in the mid-80s. Updating comfort and style, the so-called Saucony sneaker made waves reaching decades ahead of its time. The Saucony Shadow was first released in 1985, an era of sneaker-crazed enthusiasts dominate the market. Though displaying the same interface as the Jazz, the Shadow Original upgrades specific features like the marshmallowy EVA midsole for cushioning and adds a TPU heel support for stability. The Shadow Original also retains the breathable capabilities of the DXN Trainers' mesh upper. The Shadow was the first one to ignite the trend of the Saucony Shadow series replenishing hints from previous coveted models. A revamp of the Saucony sneaker was made four years after the Shadow's release. Injecting new and improved details, the Shadow 5000 continued to pass the lifestyle torch to subsequent iterations. Applying hints of perfection to its already renowned silhouette, the Shadow 5000 features a shock absorbent EVA midsole that protects and stabilizes the foot. Panels were also added to the Saucony sneaker for greater lateral support. They also made the TPU heel counter smoother and concise which increases its functionality. The outsole utilizes an XT-600 carbon rubber material which withstands abrasion with exceptional traction attributes. This Saucony sneaker's upper is composed of a combination of mesh and synthetic materials complete with a lace-up enclosure that has a speed lace mechanism on the mid an top part. During the early parts of its release, the futuristic Saucony sneaker spearheaded a campaign bearing the slogan: "1st is 1st, 2nd is nowhere." Technologies continued to improve as the decades approach the present time. A testament of real innovation, the Saucony Grid SD is one of the Saucony sneakers that triggered the rage for improvement under its umbrella. Though design-wise, this specific Saucony sneaker never failed to meet its unspoken fashion contract. The Grid SD is a Saucony sneaker which first introduced the GRID technology. The GRID or Ground Reaction Inertia Device is a cassette sandwiched on the heel part of the midsole with individual filaments that compresses independently. This breakthrough provides a new sense of stability to concurrent and upcoming Saucony sneakers during the 90s. The Saucony Grid SD was released in 1991 and never stopped to marvel fans since then. It also takes on the shape and style of the Saucony Shadow 5000. A pair of grid-inspired lace overlay mimics the GRID design on the flip side of the Saucony sneaker. Since its release in 1991, the SD Grid had been undergoing revamps in a plethora of ways which also includes a myriad of collaborations of some sort. Continuing to improve the Grid franchise, Saucony introduced the Grid 8000 which performs better regarding ventilation and other aspects. And besides, the wave patterns all over its upper suggests a contemporary take on the retro imagery of Saucony sneakers. The Saucony Grid 8000 succeeded the Grid SD core model after two years. Other features are also improved including the mesh paneling complete with wrap around perforations at the heel extending to the sides and toe box. The GRID technology is also remodeled into an interlocking pattern in this Saucony sneaker to provide enhanced stability and cushioning. They also moved the Saucony branding from the side to the back of the heel. Along with the SD Grid, the Grid 8000 was one of the coveted iterations that received numerous collaborations and colorway variations. Saucony sneakers were on the right track within the depths of sneakerhead dominion when talking about the Grid 9000. It was pinpointed as the spark plug sneaker that made Saucony venture into the realm of redesigning lifestyle fashion apparel. The Saucony Grid 9000 was released in 1994 following the somehow definite success of the Grid 8000 in 1993. It was the essential Saucony sneaker and the catalyst of the Saucony Originals line. The already plush cushioning of the GRID technology is coupled by a bootie construction to provide exceptional comfort for every stride. Since its debut, retailers and fashion icons could not stop touching the versatile Saucony sneaker which was remodeled in infinite ways up to the present day. Saucony continued to flourish their casual sneaker line by introducing mash-ups of previous pairs namely the Grid 8000 and the 9000's. The result, a hybrid shoe by the name of the 8500 which cleaves the details of both sneaks into upper and lower hemispheres. The Saucony Grid 8500 retains the brilliant upper design of the 9000 and sits it on top of a Grid 8000 midsole/outsole tooling. The product of the merger is an edgy-soled Grid 9000 with a sleek midsole cut that cleanly outlines the Saucony sneaker. The integration of both models also made the Grid 8500 a very comfortable shoe while giving it a versatile function. Many interpretations of the sneaker were introduced to the public including the Saucony Grid 8500 Ramen which shines in a Miso Brown colorway with embroidered details along the Saucony sneaker's quarter collar. Before couture concepts overtook the Saucony sneaker limelight, functionality as a running shoe was more prevalent during the early days of the brand. It would seem impossible at the time to have a trail runner flaunting down the busy streets and made a permanent option for casual clothing. But things change, and the Saucony Courageous was evidence of its stylish progress. First established in the mid-80s, the Saucony Courageous was one of the prime running silhouettes of the brand. Before it was long forgotten, an attempt to revive the model was made in 2008 in collaboration with David Z and Ronnie Fieg. The collection was highlighted as the Saucony Courageous "Run Away" Pack. Although the limited 144 release was not that successful for the 2008 Courageous collab, the Saucony sneaker for the trail was inducted into the Saucony Originals category in 2012. 2013 witnessed a comeback collaboration featuring a Japanese clothing store in the form of the White Mountaineering x Saucony Courageous. The most awaited re-release of the Courageous happened in 2015 where the Saucony sneaker was revamped with premium materials in vibrant colorways. It was since dubbed the Saucony Courageous Premium. Introduced as the same year as the Jazz, the Saucony Freedom Trainer serves as alternative footwear for runners during the dawn of the 80s decade. What started as a runner-bound shoe became the core design for the upcoming years to come. After decades of silence, Saucony brought the Freedom Trainer back since its debut in 1981. The trainer gradually subsided on retails stores but saw an opportunity to replenish its long-lost title as a household sneaker. Along with two new iterations, the Freedom Trainer was released in a collection called the "Freedom Pack" which was a nod to the old school runner itself. The Freedom Pack was introduced on the early parts of March 2017 including the Saucony Freedom Runner and Saucony Freedom ISO. The vintage Saucony sneaker resembled its original Crimson colorway since it was first released and is priced at $70 a pair. Parameters for choosing the right Saucony sneaker can be reduced to a few things mainly comfort, durability, and cushioning. And of course, sneaker technologies help users meet those specifications conveniently. Most of these ingenious techs are passed on to generations and generations of sneaker designs while others are left locked up on the vault. Below are some of the Saucony sneaker technologies that are currently being utilized by shoes under the brand's lifestyle category. The midsole is the part that lies in between the upper and the outsole which cushions the wearer's foot. Different midsole components and material combinations had surfaced since the dawn of the sneakerhead zeitgeist in the mid-late part of the 20th century. Some of them are reprised at the current time which gives out a timeless appeal. Saucony sneakers with the "G.R.I.D." on their names belong to a collection that embodies the innovative cushioning platform of the same title. For decades, the tech stayed relevant and is continuing to update its specs for running-specific Saucony shoes for the track. The Saucony sneaker tech somehow resembles a tennis racket whenever the ball hits it which in turn disperses the force through the surface then rebounds it. The grids, as they may say, are interwoven Hytrel filaments on a GRID cassette sandwiched on the heel. As impact if exerted, the Hytrel strands on the rearfoot of the sole cup and mold to the shape of the heel while the midsole compresses. These Hytrel fibers offer supreme cushioning and stability because it centers the heel of the user on every strike of the foot. This system of cushioning avoids the pain build up on the ankle, knee, and hip joints that are most likely experienced by runners. In essence, the user is in control of the movement of the cushioning due to the GRID. It was introduced in 1991 via the Saucony Grid SD and was notoriously known to be popular with the running community. Nowadays, the original GRID cushioning remains intact with lifestyle models like the Grid 8000 and 9000 but is also being improved continuously and infused with Saucony running shoes. Other variants of the GRID tech are the PowerGrid, 3D GRID, I-GRID, Active Grid Cushioning, and many more upcoming updates. Though many runners and sneaker fans are not familiar with the ICS or Ionic Cushioning System, the said innovation has a sneaky position in between Saucony sneakers midsoles. Maintaining the stability prestige of its predecessors, the age-old cushioning tech lives on for the years to come. The I.C. S. or Ionic Cushioning System contributes to comfort and control by providing additional cushioning at the heel part of the midsole via the molded triangular pillars infused within the midsole. The force on each stride of the foot is smoothly transitioned towards the front part of the shoe to give that relieving sensation. Saucony sneakers that exhibit this kind of technology are those that are members of the Shadow series including the Original, Shadow 5000, and Shadow 6000. Giving in to the lightweight trend of Nike React and Adidas' Boost sole, Saucony joined the bandwagon by introducing their fresh new tech called the Everun. The said cushioning system does not stow away from the responsiveness and durability of its counterparts but has a different arrangement when it comes to construction. Although the Everun is still part of the midsole, Saucony calls it a different aspect of the shoe called the "topsole." The cushioning system consists of a type TPU foam topsole which extends from the toe to the heel. The topsole is supported by an Everun heel pad to maximize energy return. According to test results, the Everun compound provides 83% more energy return compared to other EVA midsoles. The closer position of the Everun bed administers a livelier and more responsive run. Another advantage of the Everun is that it lasts three times longer than standard EVA materials and is more resilient with the changes in temperature. Saucony sneakers with this type of technology are spearheaded by the Freedom Runner which merges the old school look of the Freedom Trainer but with a midsole upgrade courtesy of the Everun. Insoles play a significant role in keeping the underfoot comfortable and plush. Nowadays, moisture-wicking and anti-bacterial features which are utilized by brands like Keds, Sperry, and New Balance grant a sensational feel to the wearer. The age of polyurethane footbeds are at its peak today and thus prevalent with the countless shoe iterations which use this kind of technology. From Reebok to Puma, many companies had already developed their type of memory foam, and Saucony sneakers would not allow themselves to be left out, of course. FORM2U Memory Foam conforms to the shape of the user's underfoot which in the long run provides plush and customizable comfort. As every foot is different from each other, this foam allows the right kind of cushioning where it is needed. The Saucony sneaker with this kind of insert is the Saucony Liteform Escape. The outsole is the part of the sneaker that first touches the ground. With this in mind, it is imperative for it to be durable while providing exceptional traction against various surfaces. Saucony sneakers on the Originals line up are mostly composed of the same outsole tech with a few having more than one. Saucony sneakers have more than one type of outsole compounds, and all of it would start at the least durable one. Though the least durable among all other Saucony outsole types, it still administers superb grip and durability. The XT-600 is comprised of a carbon rubber outsole material which has high abrasion properties which can be molded depending on the design of the shoe. One of the prominent outsole designs of Saucony sneakers is the Triangular Lug system which is made out of the XT-600 compound. The Triangular Lug pattern creates some kind of a piston-like suspension system which is still being utilized and improved to this day. Other Saucony outsoles which are used for more extreme activities other than lifestyle wear are the XT-900 and XT-1200. Grooves in the underside of shoes surfaced when the growing fad for running shook the world by storm. Shoe manufacturers kept thinking of a way to maximize energy return or on the other case, minimize lost energy and pressure build up. The Tri-Flex is a system of grooves which are strategically placed at the outsole's forefoot which disperses force over a large surface area. It also provides optimal stability and flexes while at the same time granting supreme grip. Saucony sneakers with this outsole are usually paired with the Everun like the Freedom Runner. Some sneakers are destined to be experimented with. Saucony sneakers are no stranger to the collaboration game since merging unrelated parties were such a thing. No one knows what happens beyond the witchcraft and wizardry of the Massachusetts-brand that engulfs the sneaker collaboration market at its fullest. Stealing inspiration from the rapid growing fast-food market, END. partners up with Saucony to release a beef sandwich-inspired Saucony Shadow 5000 "Burger" Pack. The sneaker was first witnessed in the spring of 2014. The link between the running community and the local donut store was not recognized until the Saucony x Dunkin' Kinvara 9 was released. Coloring the ideal running shoe in palatable tints like pink and powdery white fulfills the donut look while assorted sprinkles at the upper's quarter complete the overall yummy look. From its roots of premium air travel comes another Saucony sneaker flying high in business class details. Sneakersnstuff collaborates with Saucony to produce the Grid 9000 Business Class colorway which oozes in a tan leather upper with navy details. The Saucony sneaker was set to be released in November 2017. Saucony joins the recreational fad by infusing outdoor-ready features to their already sporty Freedom Runner. The "Stormlight" Pack highlights waterproof abilities and longevity attributes with its rubber toe cap and weather treated suede and leather uppers. And don't get the wrong idea about its style because the Premier x Saucony Freedom Runner Stormlight is highly fashionable as well. Merging two cultures in one, the Up There x Saucony Grid 8000 "Sashiko" mash-up proves that there are some similarities with the country down under to the land of the rising sun. The Australian outlet Up There utilizes the Japanese stitching method and splatters it into the Grid 8000's upper. The eye-catching Saucony sneaker was set to hit stores in February of 2018. Last 2012, Saucony gave the Shadow 5000 a pinkish makeover as facilitated by the German-based retailer Solebox. In 2018, the two teams met again to collaborate on the Saucony sneaker theme's resurrection. Displaying a two-tone construction, the Solebox x Saucony Shadow 5000 EVR starts off with a pink two box which flips into black at the quarter. The Shadow 5000 EVR takes the core model to a whole new level of comfort by introducing knit materials for its upper while sitting pretty on an Everun midsole. New inspiration for the Saucony Grid 8500 surfaced from the East Coast shoreline. The joint venture between END. And Saucony released the "Lobster" colorway of the Grid 8500 on May of 2018. Enhancing the look are two shades of orange namely Jaffa and Orange Peel which is complemented by blue laces and claw-printed insoles. The collab gives tribute to the unique delicacy of the East Coast where Saucony comes from. Restoring a major pullout from the 90s, Bodega and Saucony had once again merged their think tanks to produce a classic yet modern silhouette by the likes of the Saucony Grid 8000 "Classifieds." The retro-inspired Saucony sneaker shines in yellow with black, red, and white accents. It also combines the conventional materials of the hip-hop era which are nylon, mesh, suede, and patent leather. A classified-inspired print can be seen featuring Bodega brandings in the insole and on the tongue. Merging patterns and concepts is such a casual thing for Saucony and the Dusseldorf-based retailer Afew. The combo had planned to honor the 18th-century writer Johann Wolfgang von Goethe by reinstalling the upper of the classic model called Master Control and giving it a Shadow taste by resting it on top of a Shadow 5000 tooling. The honoring Saucony sneaker sprays grey and pink color all over while the cursive Goethe-written imprints at the heel complete the look. Paying homage to the Duomo Cathedral located in Milan, the Saucony Grid 9000 Milano flaunts with premium cream and grey suede accents. The holy and historical Saucony sneaker also utilizes an asymmetrical design via the green and metallic gold Saucony branding on the side panels. The interior is tinted in olive shades while the speckled midsole offers dimension to the sneaker's overall appeal. Probably one of the best collaborations that Saucony had undergone, the Acht Amsterdam x Saucony Shadow 5000 "Invictus" was released in a limited 150 pairs only with 10 of those for friends and family. With a partly denim upper, its colorway is completed by black, red, and white hints all done on a white mesh underlay. Due to its crazy limited release, the sneaker had skyrocketed the resell market with a price reaching $1,400 a pair. And for those who are curious of what Acht translates in the English language, it means eight. Sneakerheads who have an affinity with the bottle might find the UBIQ x Saucony Grid 9000 "Dirty Martini" quite a surprise to wear with outfits. The drink-inspired Saucony sneaker is drenched with the colors of the famous cocktail like olive green and black with hints of orange on the tongue, vamp, and midsole. It was released on March 2014 facilitated by the Philadelphia brand UBIQ. Saucony and Packer Shoes concocted yet another blockbuster hit which pulls its design concept from the 90s Polo Ralph Lauren collection called Snow Beach. The Packer Shoes x Saucony Grid 9000 collaboration features a contrasting yellow fabric and navy suede uppers while the exciting splashes of red complete the Snow Beach resemblance. Talking about collaborations does not only mean partnerships with retailers but would also mean infusing concepts of events into a sneaker. Saucony invested on this idea with the Saucony Grid 9000 "Liberty Pack" which is a nod the upcoming Independence Day months after its initial release on December 2016. The Liberty Pack has two sets of colorways one featuring a woven upper and the other one with denim accents. Using social media as a tool for generating a design concept, Saucony teamed up with New York City shoe source Extra Butter to release a new colorway for the Shadow 5000. They entitled it "For The People" because of the way it is conceived hailing its inspiration from classic cars. Months after its introduction, a "Friends and Family Pack" was released which integrates hints from classic movie drive-in cars on its upper. To fulfill the vintage look, a fuzzy dice branding can be seen on its tongue. Saucony has done it again by combining two of their coveted silhouettes into one beautiful spanking Saucony sneaker called the Jazz '91. This time, a New York outlet called ALIFE spawned a new colorway for this old-school model featuring distinct but straightforward pigments for its upper. The ALIFE x Saucony Jazz 91 fuses the upper of the highly regarded Saucony Jazz into the sole of the Shadow 6000 thus producing a fabulous shoe. Two delicious iterations came forth with Feature's collaboration with Saucony namely the "Bacon & Eggs" and the "Belgian Waffle" colorways. The two-part deal fulfills the "Breakfast Pack" which has months in between their releases. The Courageous, which is a vintage Saucony sneaker, was the canvas of two enticing designs built to rumble any one's tummy. The Bacon & Eggs colorway features pink color blocking with yolk-inspired yellow for its accents. The Belgian Waffle showcases a yellow and brown mix with a little garnish of pink, purple, and green 3M dots on the Saucony side logos. Questions would be most likely to accumulate after reading the content above. Found below are frequent inquiries surfacing the web regarding Saucony sneakers. With the growing concern for a conducive labor environment, shoe manufacturers and consumers alike become aware of the issue regarding "sweatshops." But according to the research found on rankabrand.org, Wolverine World Wide has a Supplier Code of Conduct that complies with the "no forced labor" or "no child labor." Wolverine is the mother company which owns Saucony sneakers. Where are Saucony sneakers made of? Although Wolverine World Wide have factories overseas, the company is striving to be a patriot given the opportunity coming from the Pentagon to supply American-based running shoes. New Balance, Saucony's rival, shares the same vision with the Lexington manufacturer and is head-to-head during the process of transition. As of now, Wolverine is experiencing difficulties producing sneakers abroad because economies in Asia is not that favorable as before. Labor costs in China had grown significantly. It's a good thing that the colossal mother company already has a head start with its huge factory sitting in Big Rapids, Michigan. Does Saucony make vegan sneakers? Going eco-friendly has been in the world for decades as sparked by hippies in the 70s. As the resources become scarce and pollution from domesticated animals ensue, many industries shift to cater to the needs of those who are vegan. 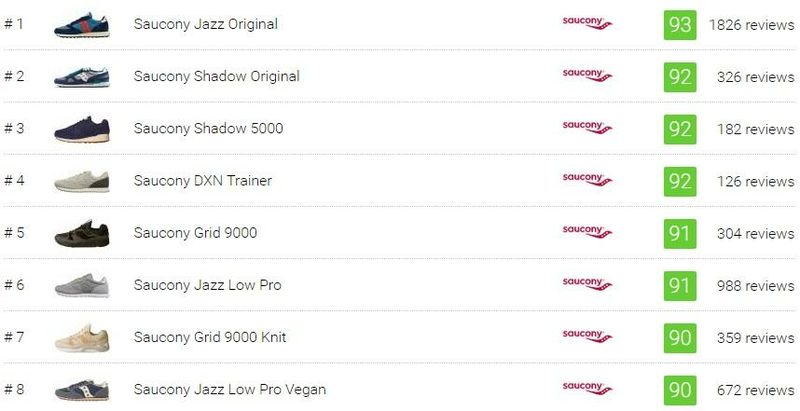 Of course, Saucony sneakers would grasp this trend fully and be declared in 2013 that they would offer an animal-free product line. The first thing to consider when dictating the word Saucony is that it starts with a "sock" sound. It should go like this: Sock-uh-knee. Many people would have the error of unaccenting the first syllable and putting the indent on the OH. Furthermore, there are videos online that would correctly show one how to say Saucony. Do Saucony shoes come in wide widths? Unfortunately, only Saucony running shoes come in wides. It would seem plausible that the lifestyle category of the brand would not offer wide because most of its iterations are pulled out from their design vault from the 80s and 90s. Where could one buy Saucony sneakers? Saucony outlets found in malls and other retail stores offer an immediate and quick option to purchase Saucony sneakers, but online sellers like Amazon and the brand's official website provide a more productive variety in style and design. For those who would be wanting to buy resold limited editions, sites like StockX and eBay is an excellent platform for barter. Lastly, fashion sites like Hypebeast and Complex provide information on future limited releases so be sure to be diligent when looking at these sites. How do you clean Saucony suede? The best and easiest way to clean dirt and grime off a suede sneaker is by using a suede brush. Remember when brushing the material, it should only be in one direction and never go back and forth. Suede is also best dealt with when dry because water can disrupt the integrity of it. There are also other ways to remove water stains, oil, and scuff marks that require intricate processes which can be found in websites and videos online. For the finishing touch, a suede eraser or a damp kitchen sponge can remove the marks from your Saucony sneaker. How does Saucony Grid 9000 fit? The Saucony Grid 9000 fits relatively true to size. Its mesh lining administers a comfortable snug on the foot which can be customized by adjusting the laces. The Everun technology is Saucony's answer to the growing inclination of sneaker producers to a responsive, lightweight, and durable midsole. The cushioning tech consists of a full material bed that extends from heel to the toe which lies under the insole. This Everun bed is supported by an Everun heel pad which absorbs shock and protects from impact. G.R.I.D. stands for Ground Reaction Inertia Device which is a cushioning technology featured by the Saucony sneaker Grid SD in the latter years of the 80s. The main component is a cassette grid on the heel which cups the foot and disperses the impact throughout the surface of the underfoot. Saucony is a brand that had been around for quite some time now, but its prevalence was only recognized in the 80s. By providing quality and honor to its American community, the Lexington brand had introduced a new taste of style to runners and casual walkers alike. In 1898, four very young entrepreneurs established a shoe manufacturing factory near the banks of a creek in Kutztown, Pennsylvania. The body of water had three boulders sitting along the stream and became the image and symbol of the company after many years which was called Saucony. By 1910, it was already producing 800 pairs of shoes which are a huge production at that time. Running was a hit during the early stretches of the 20th century which is picked up from the first Olympic marathon performed in 1896. It led the way for Saucony to indulge themselves in performance shoes for the track. The 7446 Spike was released in 1958 which contains spikes and is made with Kangaroo leather. This shoe became Saucony's entry model to the running game. Saucony was bought by a fast-growing sportswear company named Hyde Athletic Industries. Before the acquisition of Saucony, Hyde Athletics was known to be A. R. Hyde And Sons where A. stands for Abraham, the Russian founder. In 1969, a change-up was made, and a public offering was announced. A year after its declaration, the company had sold 350,000 shares which led to it changing its name to Hyde Athletics Industries, Inc. All running aspects under the company were now bestowed upon Saucony. 1977 witnessed the early hints of glory for Saucony when Consumer Reports Magazine gave Saucony sneakers the award for "Best Quality." This move attracted runners from all parts of the U.S. The well-treasured brand before had now flipped its status to being well-sought out. The early parts of the 80s became an iconic era for the Massachusetts-runner. The decade was introduced with timeless iterations like the Trainer 80, Jazz, and the Shadow which were all high-performing and top-rated shoes during that time. The movement even attracted the New York City marathon champion Rod Dixon and also gave him an opportunity to design his shoe. As the 90s approached, the morphology of Saucony sneakers adapted with the growing niche for fashion. Although still focusing on enhancing the capabilities of their running silhouettes, Saucony ensured that style is not disregarded. They soon introduced the G.R.I.D. Technology which is a ground-breaking cushioning system that engulfs the heel. As the blending of fashion and function took place, Saucony answered with their GRID collection including the Grid SD, Grid 8000, and Grid 9000. There were also many versions of running shoes released in the 90s that focus on different trails like the Courageous. Being the sportswear conglomerate as it is, Wolverine World Wide bought Saucony in 2012. But before this, the century-old company was with Stride Rite Corp since 2005. Now that the big dog is at play, this passing-over entitled the resurrection of retro models which was timely during this period. Soon, outlet stores would display vintage Saucony sneakers like the Jazz, Grid's, and Shadow's.